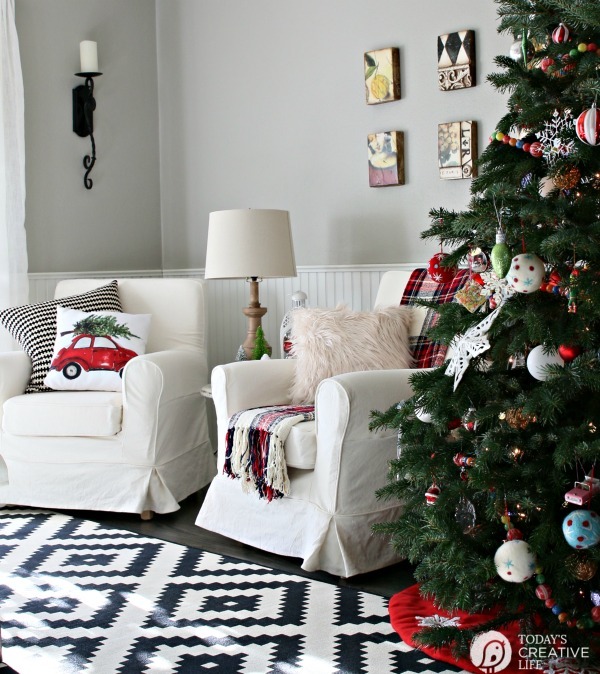 With the Christmas coming, you may be wanting to spruce up your home for holiday guests. 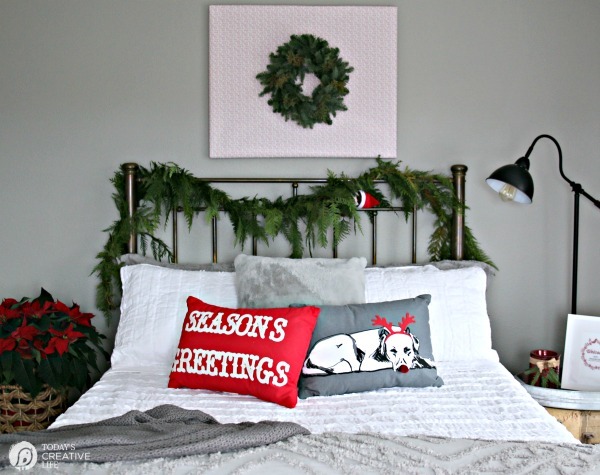 This Budget Friendly Guest Bedroom Holiday Makeover will give you a few ideas on how to make your guest bedroom festive and cozy! 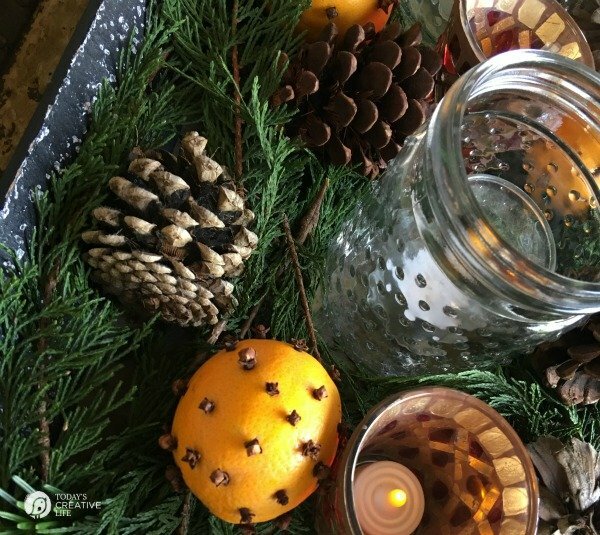 Your guests will feel comfortable and loved with all the simple seasonal touches. 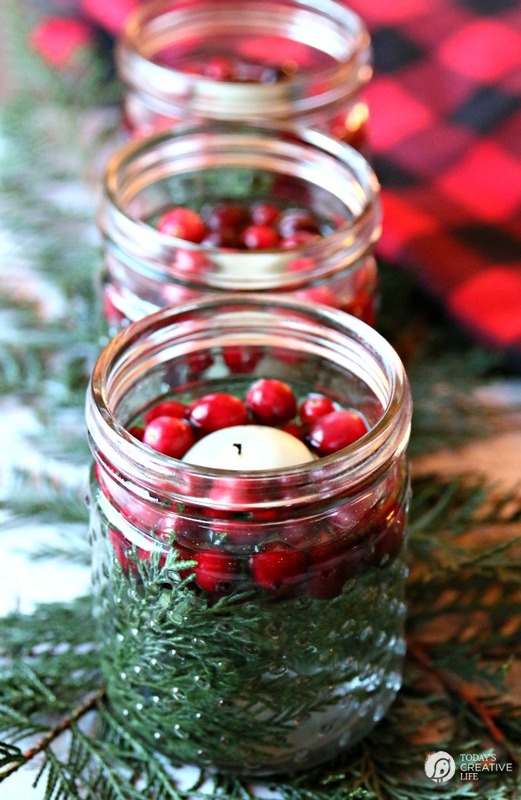 One of those touches is lurking amongst the holiday decor. Can you find him? Once you find the Elf on a Shelf, leave me a comment letting me know! Your guests may get a kick out of sharing a room with him. A guest bedroom should be simple with all the amenities your guests may need. 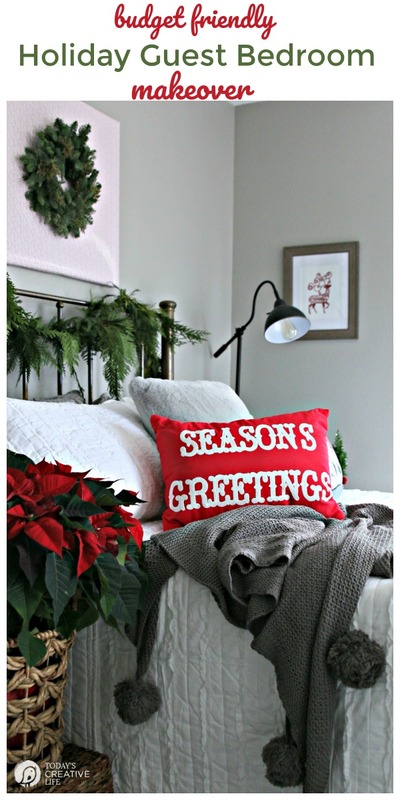 I wrote a post a few years ago with a full list of all the guest room tips and essentials. I was able to create this current guest bedroom oasis on a budget with most of my items coming from Better Homes & Gardens at Walmart. 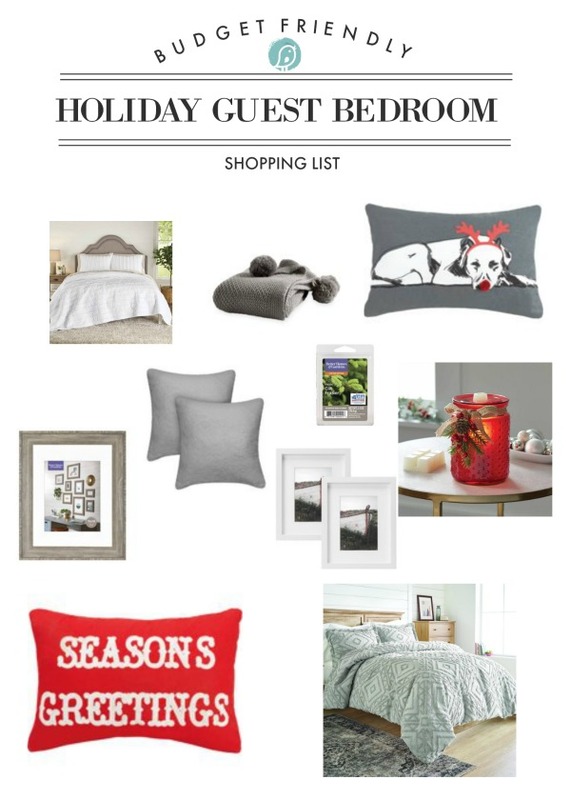 They always have such a fun selection at great prices, which make it easy to do a quick update for the seasons. 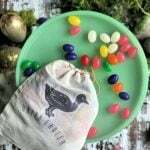 I was able to do most of the shopping online with easy pick up or free shipping. This made it easy to create a color scheme for the look I was going for. 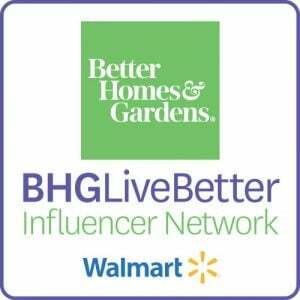 You may remember the prior guest bedroom makeovers I’ve done with more BHG items. Blue & White Bedroom Makeover – I love the crisp colors and will use this bedding again. 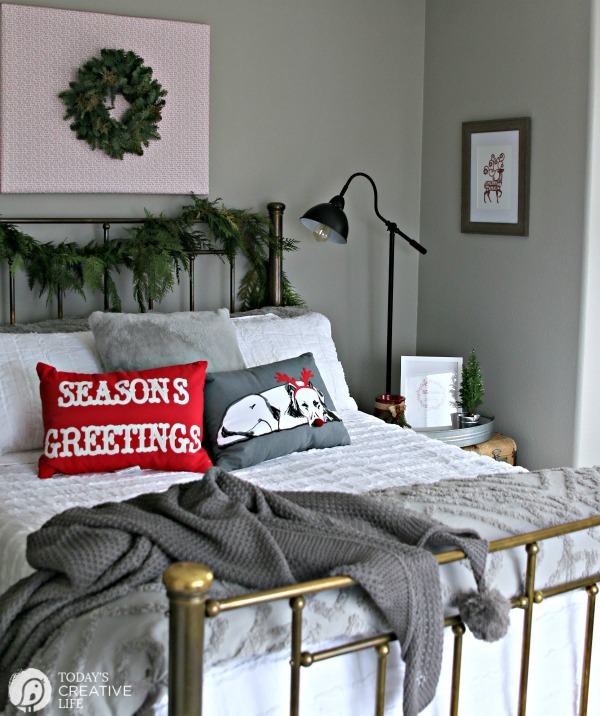 Soft & Cozy Bedroom Makeover – This was a makeover I did for my sisters bedroom. Which I didn’t even realize until today, that I bought the same comforter for this makeover. 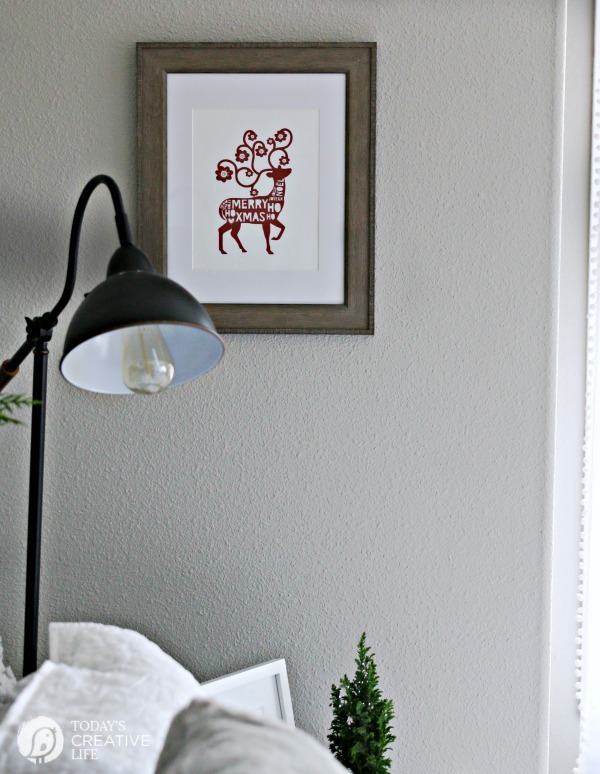 Around the World Guest Bedroom Makeover – This one was all based on my extra large world map. One of the easiest ways to add style on a budget is with your accessories and accents. I used 3 different pillows to add that extra layer of style to the bed. The grey fuzzy one comes in a pack of two and can be used year round. 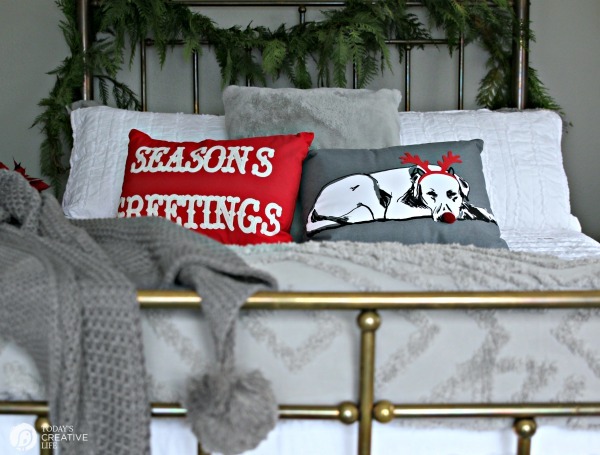 the Season’s Greetings and the Rudolph Dog are both holiday seasonal pillows you can pull out year after year. 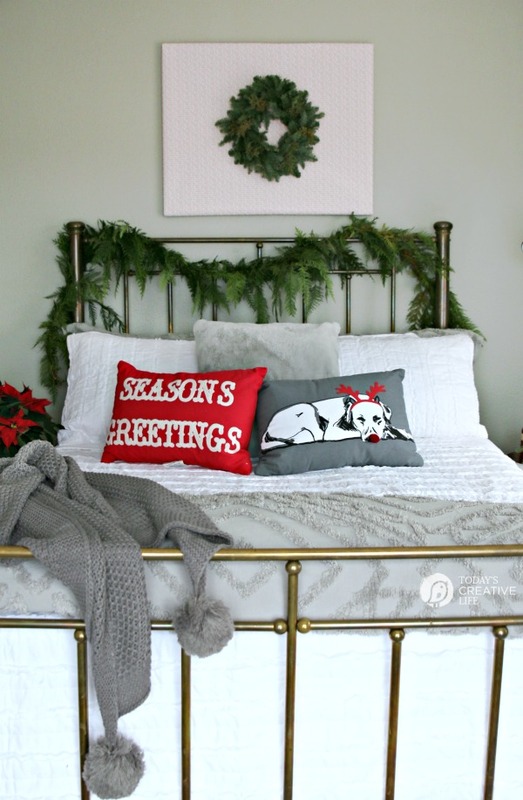 Adding a seasonal throw blanket adds another layer of functional style to any room. 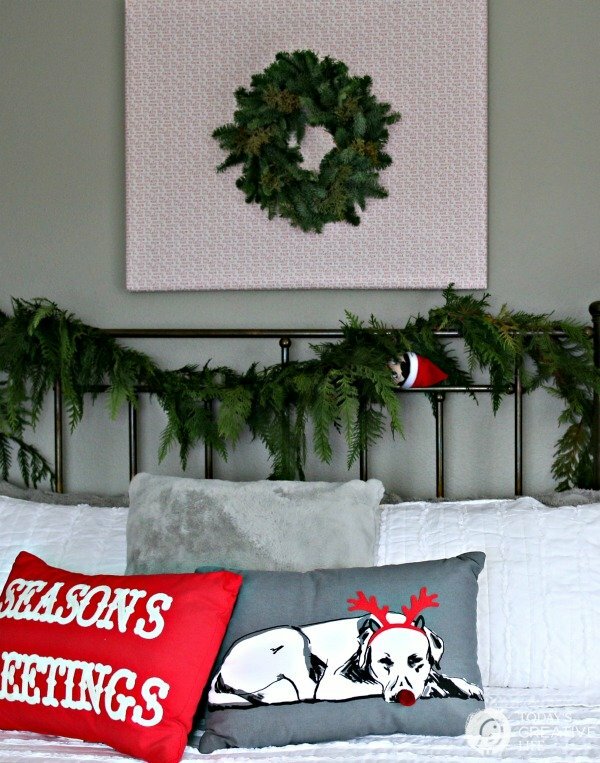 Since I was decorating with seasonal colors, I needed new wall art, but I definitely wasn’t going to invest in new art for just one season. 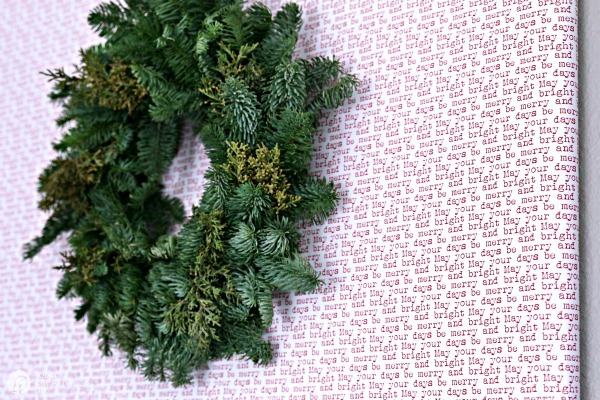 So I wrapped a plain canvas I already had with Christmas wrapping paper and added a natural fir wreath. 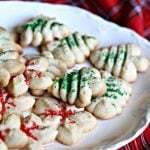 It’s perfect for a quick holiday feel! 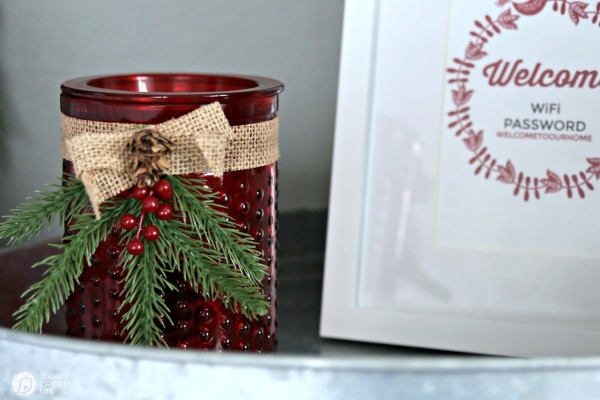 I also used a couple of budget friendly frames and filled with printables. One has our WiFi password and the other holds seasonal art that I can fill with something else later. This post is sponsored. Affiliate links for products listed are for your convenience only. This costs you nothing extra. If you happen to purchase anything as a result of clicking, TCL will receive a small percentage. Thank you for your support. This allows me to continue to offer you free content. 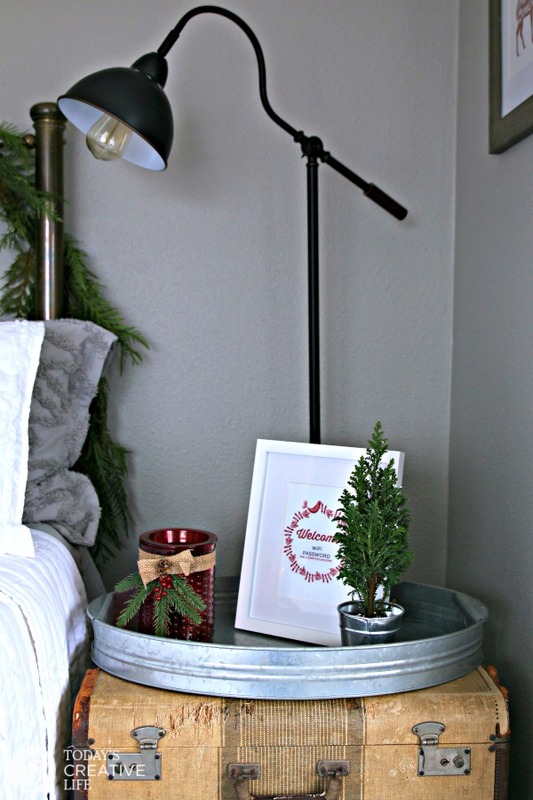 This lamp and galvanized tray are also from the Better Homes & Gardens product line. I’ve had these for awhile and use them over and over. Everything looks so cozy doesn’t it? I may have to sleep in here to test it out! Did you find the Elf on a Shelf? 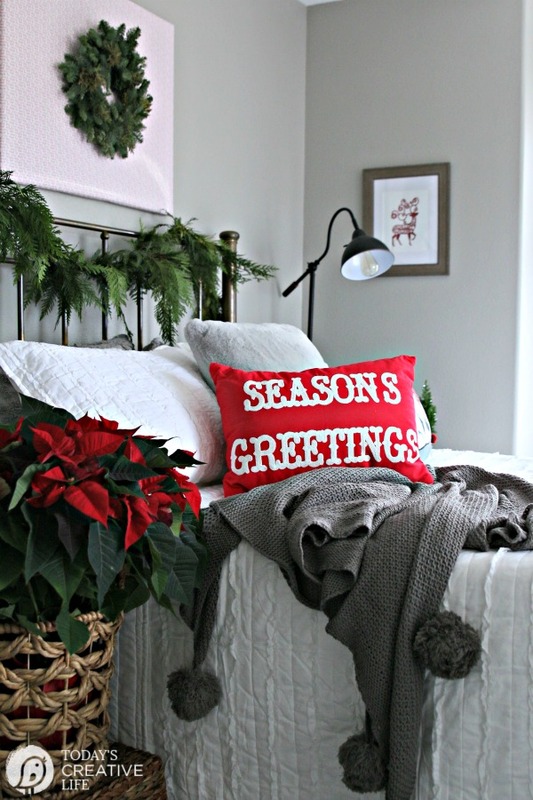 Make your holiday guest feel welcome with a quick and simple, budget friendly Guest Bedroom Holiday Makeover. I found the elf in the garland on the headboard. You have done an exceptional job on your makeover.